Everybody is aware that sometimes the safest thing you can do in a tall building fire is to stay put and wait for the firefighters. Even if the building is equiped with spinklers and smoke alarms, in case of fire, none of us know how will react psychologically and often happens that the way that seems the most logical in a moment of panic (to jump from the window) is the most dangerous. For this reason we developed LeaveFire®. Designed to get outside quickly and safely. 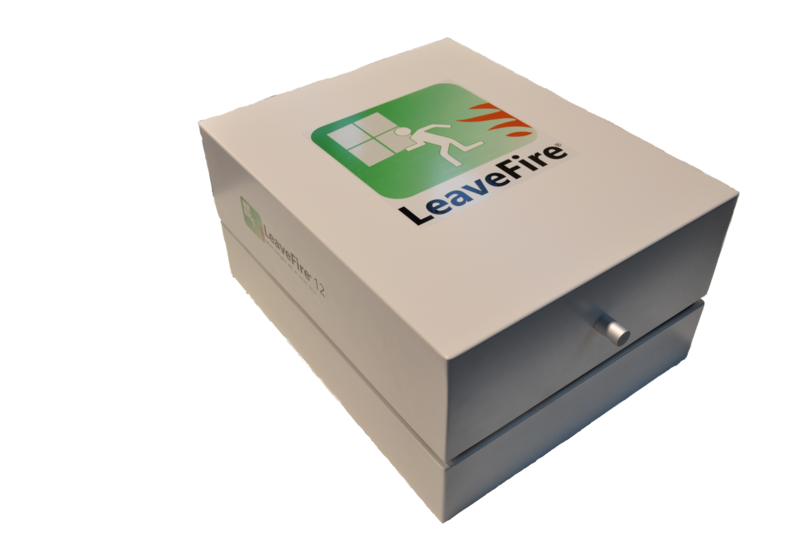 LeaveFire® is very easy to use. Installed outside the windows or the balcony LeaveFire® is equipped with a fireproof harness that once worn lets you get outside quickly and safely leaving the fire behind you. LeaveFire® doesn’t need any power unit and always ready to use. We provide lifetime warranty for all models!